On the back of Facebook announcing that Russia-based operatives published about 80,000 posts on the social network over a two-year period in an effort to sway U.S. politics and that about 126 million Americans may have seen the posts during that time, we decided to audit our clients Google Analytics accounts to detect any foreign abnormal activities. 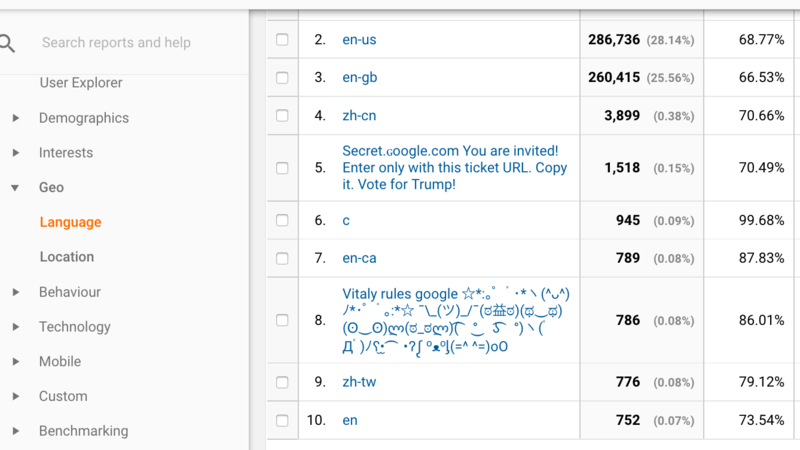 And look what we found in one of our client accounts under “Audience > Geo > Language”. Now that is VERY SCARY!